Grown-up colouring is having something of a moment; colouring books for adults are currently rubbing shoulders with the likes of Mary Berry in the bestseller charts and this month, The School of Life and the Tate launch a range of eight grown-up colouring posters. Colouring is an absorbing activity that forces you to focus – an alternative to mind-numbing flicking from electronic screen to screen. Download our free design now, and ready those pencils, felt-tips and crayons. And – you know what? – we really don’t mind if you go over the lines. Share your coloured-in design with us via Twitter or Instagram – use the hashtag #simplecolouring and we’ll show-and-tell our favourites. And in the next issue you can see how some talented designer-maker types did it, as we feature their designs. Buy June's issue of The Simple Things and get a set of colouring cards free. 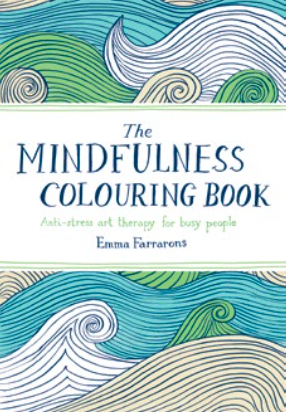 If you get the colouring-in bug you can buy The Mindfulness Colouring Book (pictured left, Boxtree, £7.99).